Bristol; a buzzing city bursting with creativity, street art and a world renowned music scene. It’s a city that positively embraces entrepreneurism and it’s where Joe Hemmings has firmly established himself as a hairdressing guru. In July 2010, after fifteen years of working in the industry, Joe opened Bloggs Hair Design on the vibrant Gloucester Road. He has personally put together a team of unique stylists and colour experts who, over the years have become something of a family. Each stylist has been selected for their individual chic, and their unique ability to translate their knowledge and experience into a hairstyle or hair colour which is tailored directly to you. 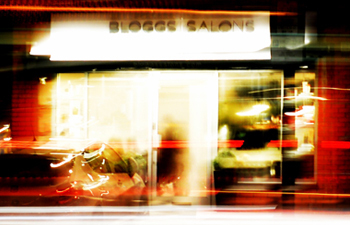 Bloggs Salons deliver excellence in colouring, cutting and styling for both men and women. We guarantee flawless results whether classic or cutting edge, and a personalised service that will make you feel welcome and at ease in our beautiful salons. With an appointment book bursting at the seams, Joe is now opening a second salon. In March, Bristol will welcome Bloggs Salons Harbourside; working towards becoming the city’s first L’Oréal Portfolio Salon. With two members of the team already part of the L’Oréal ID Artist programme and another boasting a L’Oreal Colour Specialist degree with distinction, these have to be the go to salons for colour. Bloggs Salons want to create a look that is unique to you and your lifestyle. Come in for a blow dry or a complete hair colour change and hair restyle. Whatever you chose, one thing is certain you will be welcomed as an old friend. Time here is time you can relish.